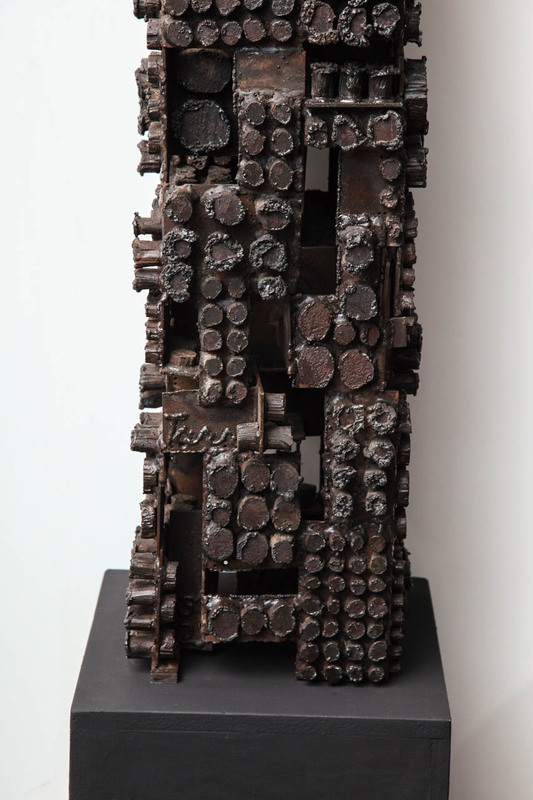 Brutalist sculpture in Cor-ten steel with applied cylindrical forms throughout. 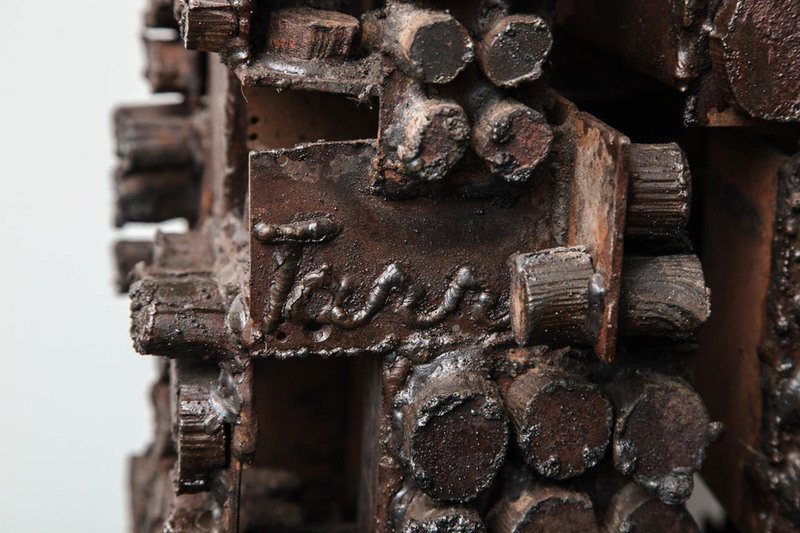 Signed and dated, this is a rare large-scale piece by a sculptor who was best known for his massive public sculptures. Bill Tarr worked in NYC during the 1960's and 70's. He is best known for his tribute to MLK Jr. located near Lincoln Center, as well as his "Gates of the Six Million" sculpture at Washington DC's Holocaust Museum. Provenance: Private Collection, NYC. h. 50" w. 12" d. 12"